Item number 397/1 from the MOA: University of British Columbia. 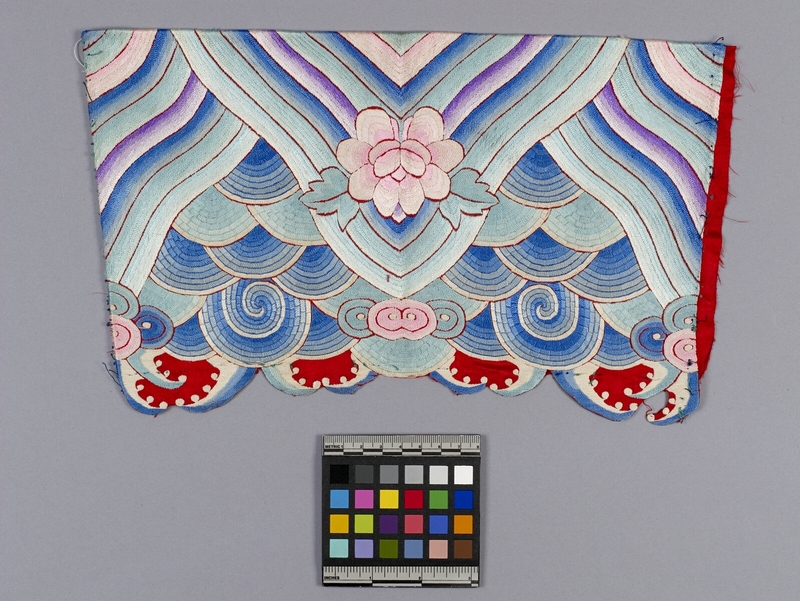 Rectangular embroidered panel with a pink flower and rolling blue hills. In the foreground there is one large complete hill in the centre with a large half hill to each side. The hills are made of teal, blue, purple and pink wavy bands. The centre hill has a large pink flower in the middle and a smaller pink flower above. In the background there are many smaller rounded hills with a checkered pattern in blue, white and teal. The hills in the distance and along the top edge are red with white dots. 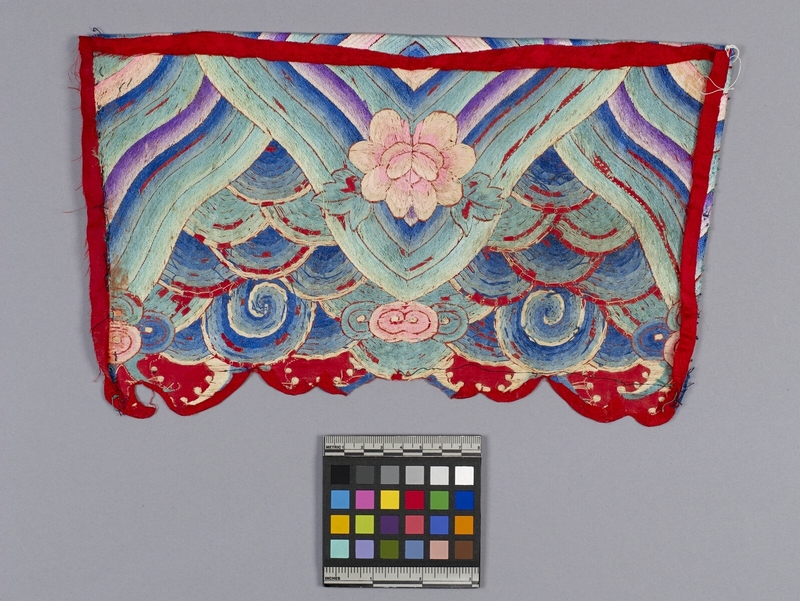 The top edge of the textile is scalloped to mimic the red and white hills. Collected by Arthur W. Gottschalk.